1) There is not a single company I know of that I believe can meet all of these requirements. a. Not even the two that have expressed a desire to respond to the RFP. b. It is possible that a non-compliant bidder could be awarded the contract simply because it bid while others that did not submit because they were non-compliant in a few areas and did not feel they would even receive consideration. 2) FirstNet has asked for creativity in the responses but unless you first dot every “i” and cross every “t” a bidder won’t have an opportunity to express its creative side. 3) The procurement timetable is such that offerors will not have adequate time to engineer and price a compliant solution. The industry day pre-bid conference is scheduled for mid March, which is so late that offerors will be forced to develop their solutions and proposals before they have received answers to questions that could/should shape their response. The due date needs to be extended by at least 30-90 days. 4) The penalties for missing goals are over the top and there is only a vague published target to use as a baseline (more on this and other aspects later). 5) The questions submitted, which we were told would be answered sequentially, have not been published so far and the RFP clock keeps ticking. Many decisions rest on not only the answers to the questions asked but the willingness of FirstNet to make changes to encourage more bidders to participate. 6) The number of users that are to be given special rates for service and access to preemption is vague as is the definition of a first responder. 7) The RFP states that the bidder may not receive the revenue from secondary usage of the spectrum in an opt-out state, which contradicts previous FirstNet written statements. 8) Overall economics (business case) are tenuous with the contractor required to pay a MINIMUM OF $5.625 B back to the government despite an uncertain revenue stream. The risk/reward is not attractive as the RFP is currently structured, and the potential returns do not come close to justifying the investment. Further, the $6.5 billion to be paid to the winning bidder by FirstNet is subject to downward adjustments depending on how many states opt out. It’s not even clear whether this payback will fund tech refresh initiatives over the 25-year life, or if the contractor will need to fund those improvements out of its own revenue stream. 9) The federal regulations are almost overwhelming and there are multiple layers of regulations that have to be reviewed and addressed by legal staffs. Some regulations can be interpreted differently by different attorneys who are outside of the federal system, making fully compliant responses even tougher for some potential bidders. There are other reasons I have changed my mind, but the ten above are the ones I chose to highlight today, especially since some of these concerns have already been submitted as questions that have not yet been answered. Further, it is not clear whether FirstNet and the federal agencies involved in this RFP are at all willing to make changes to the RFP to encourage participation by qualified potential bidders. Starting at the top, the two potential responders to the RFP that have publicly declared their interest may not be able to meet all of the requirements in the RFP. Even with a major network’s involvement, I don’t believe they could meet some of the requirements that have penalties attached to them. The downside for many potential offerors is that they may decide not to submit a response to the RFP because their management feels they may not be able to be fully compliant. Yet it is possible that since there probably will not be any 100%-compliant responses received, an award could be made to a responder that took exceptions but submitted as opposed to one who did not take exception to portions of the RFP and therefore chose not to submit. What is needed here is some type of signal from FirstNet regarding the major issues and its willingness to consider responses even if they are not fully compliant since they may, in fact, provide the best possible solution for Public Safety. After all, this network is for Public Safety not for FirstNet. FirstNet has insisted right up until the RFP was released as well as in the early RFP documents that it wants responses that show a potential partner’s creativity at providing the network, services, and devices that will be required by first responders. Yet in reading the requirements for the capability statement and the final RFP response, there are so many areas where technical specs and other requirements get in the way that it is almost impossible to demonstrate any level of creativity in a response. If we use the term in 2 above, the total number of first responders in the United States is less than 4 million and nowhere near 12 million. So what is the total available market? Once an offeror provides its estimate of the target market, how does it guarantee 50% uptake by month 24 and 100% by month 48? And does FirstNet review the target market that has been specified and agree or disagree? The due date for the RFP is the end of April 2016. FirstNet and the federal government are asking potential bidders to respond with all sorts of maps, charts, and verbiage, yet none of the answers to questions already submitted have been provided, at least not that I can find. Further, assembling partners sometimes takes more than a few months of hashing out the details. FirstNet and the federal government are asking bidders to commit to at least a $20 billion investment (I believe more) with guaranteed payments to FirstNet regardless of the uptake on the network, and with no clear indication of the income that will be derived from the Public Safety community. All this means that the project cash flow scenario will remain unknown as will any potential ROI. Isn’t the main reason to bid on the project to make a decent return on investment? Not simply because Public Safety really needs this network? Rural coverage is a requirement of the law, as it should be. I was pleased to see, on first read, that there were two types of rural coverage. The first is in populated rural areas and along highways where permanent coverage is required. For non-populated rural areas FirstNet created a category for coverage it calls on-demand. I thought this was a fair way to handle the rural coverage issues. However, digging into the state maps it seems as though some states simply extended broadband coverage wherever they wanted to without any guidelines, and the result is a footprint in some states that exceeds their current LMR coverage, adding a huge amount to the cost of both construction and operation of the network. This, of course, is another reason the financial aspects of being a FirstNet partner are looking very dismal at the moment. The RFP states in section B (B.4.3), “Should a state or territory successfully assume responsibility for deploying and operating its own RAN, the Contractor may not receive access to the network capacity value for that state or territory through this contract.” This actually contradicts the second notice and request for comments, sections 6208 and 6302, which have been interpreted by FirstNet to preclude an opt-out state from entering into an agreement for use of the excess spectrum in that state and to not turn the proceeds from any agreement over to FirstNet. Questions have been submitted on this topic but as of today no responses have been forthcoming. As I dig deeper into the RFP I find, over and over again, that what appeared to be a good revision to the first RFP draft still contains too many constraints and hard and fast requirements that will, I am sure, result in fewer responses to the RFP. I also do not believe the responses that are received will be 100% compliant. The biggest issue for me is that the business case, which was workable before, is no longer valid. The extra coverage requirements, extra penalties, and guaranteed payments now make partnering with FirstNet a costly venture with little or no way to recoup the initial large investment. Nor do I see a way to reach a cash positive point that would begin to provide a return on the investment for many years, if at all. Most companies will have to obtain a positive vote from their board of directors to respond to this project, first because of the actual costs associated with responding and then because of the longer-term huge financial implications and lack of a path toward positive cash flow and a decent ROI. Just how many boards would actually approve such an expenditure? 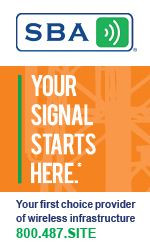 At the same time this RFP is on the street, the 600-MHz spectrum auctions are commencing. Both AT&T and T-Mobile have publicly stated that they believe they can purchase at auction a full 10 MHz by 10 MHz unencumbered portion of the 600-MHz spectrum for about $10 billion. Even with a delay of a few years in being able to build that spectrum out, most companies will look at the two opportunities and choose the 600-MHz auctions over the FirstNet opportunity. Will the questions that have and will be submitted through February 12, 2016 cause FirstNet and the federal government to make the types of changes required to make this much more attractive from a prospective partner’s viewpoint or will they stick to the RFP in the belief that there will actually be offerors that stand up and at least say they will meet most if not all of the requirements no matter what the cost? The next few weeks, before and after the question deadline and leading up to the industry day on March 10, are critical. I believe what FirstNet decides to do and what changes it agrees to make will determine whether there will be any potential partners willing to work with FirstNet. I am hoping changes will be made and the due date will be extended. Public Safety deserves more than only one or two (or no) choices for a solid partner. 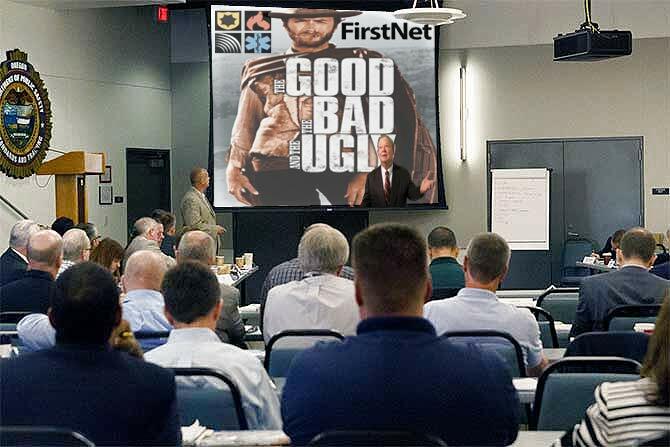 FirstNet it is up to you, and Public Safety is counting on you to provide it with the best possible network at the best price and with the best performance possible. Andrew M. Seybold, CEO and Principal Analyst of Andrew Seybold, Inc., is one of the most respected and influential analysts in the wireless industry today. For more than twenty-five years, he has served the industry and shaped initiatives for world leaders of the wireless industry, including Verizon, Nokia, AT&T, Motorola, and Qualcomm. 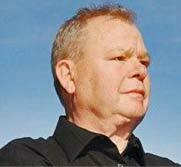 His firm has provided wireless consulting and education services for startups to Fortune 1000 companies such as Dow Chemical, Ford Motor Company, and Microsoft.